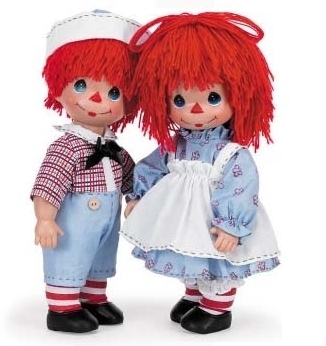 Today, I found out from my sister-in-law, Cheryl, that my wife's favorite doll as a child was a Raggedy Ann doll that she always carried around with her. She wrote isn't is funny that Raggedy Ann married Andy? She ended with, "Is it odd or is it G-d?" Happy Hebrew Anniversary to my wife!